Every day, politicians and regulators make decisions that impact the way we care for those with profound disabilities. Your ability to influence those decision makers! You can take back your influence in Washington, Springfield as part of the Marklund Action Network. The Marklund Legislative Team will do all the legwork on the legislation that will have the greatest impact to Marklund. When the time is right, we will call upon our Action Network members to reach out to elected officials on Marklund’s behalf. When you join the Marklund Action Network, we ask you to respond to action requests by emailing or calling your elected officials on key issues. Your involvement will help to build your relationships with elected officials and make these tasks easier; this is a simple way to protect the rights of those Marklund serves. 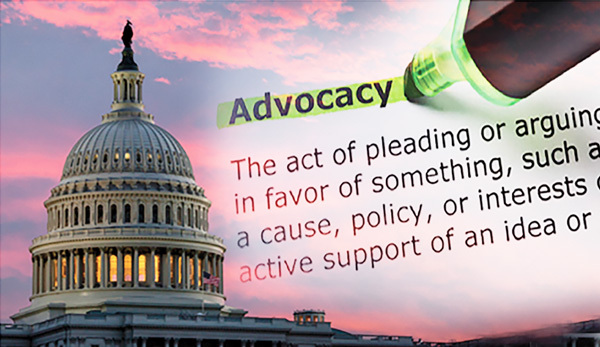 The Marklund Action Network also helps you find a comfortable, effective way to become an advocate.